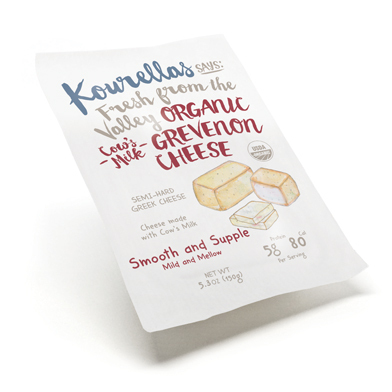 At the Kourellas family dairy, we’ve been making authentic Greek cheese for generations. 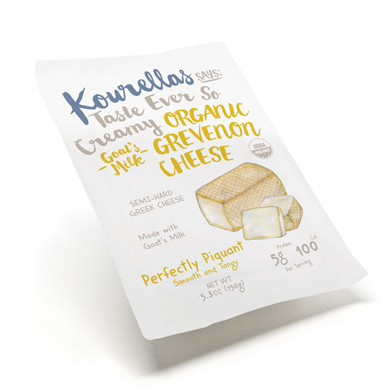 Made with pure goat’s milk, our organic semi-hard Grevenon cheese has all the grassy freshness of the hills where our herds roam. 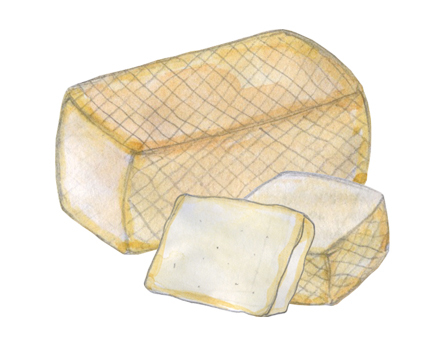 Deliciously versatile, this pale ivory cheese melts to perfection. 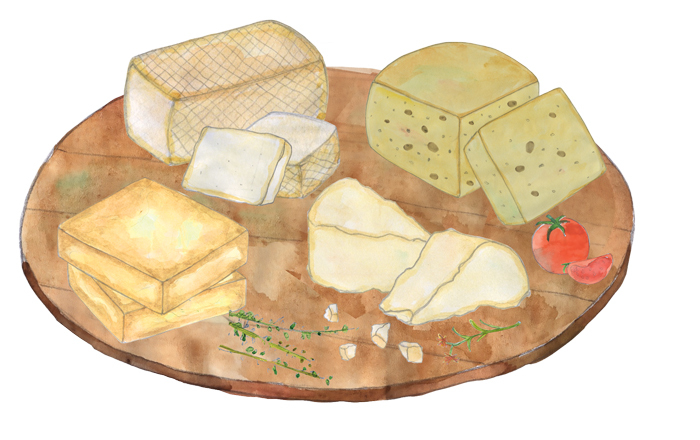 Layer into grilled sandwiches or scatter over pitta bread with olives and tomatoes. 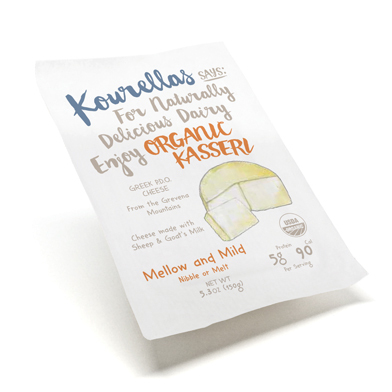 Ingredients: Organic goat’s milk, Natural sea salt, Vegetarian rennet, Lactic acid culture.